Love small batch whiskey or gin? You’re in luck, because the craft distillery industry is growing at an incredible rate, which means more spirits in the market and more places to try it. In the United States, the number of craft distilleries has grown from about 50 in 2005 to more than 600 today. If growth continues at that rate, the number may double in the next several years. Distilleries have also spread around the country. While California, Oregon and Washington remain the states with the most operating craft distilleries, distilleries can now be found in 45 states, including Illinois, home of FEW Spirits. Founded by Paul Hletko, a former patent lawyer, FEW is located in Evanston, a town about 13 miles north of Chicago’s city center. 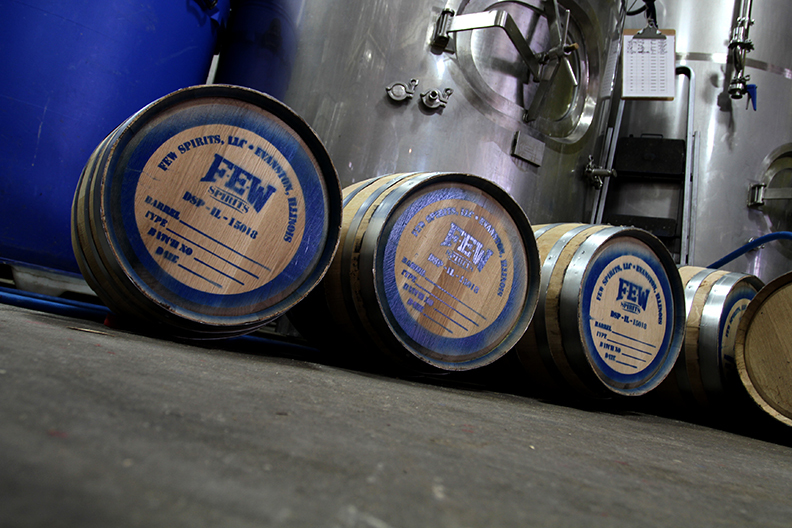 FEW is the first legal distiller of grain spirits in Evanston, and the irony of the location is not lost on those who know Evanston’s history. Hletko succeeded, and FEW opened its doors in 2011. By definition, a spirit is distilled alcohol. Spirits distillation is the process of heating a fermented liquid, evaporating off the alcohol as vapor, and then condensing it back into liquid form. Spirits are classified depending on the fermented material they are distilled with, which for FEW includes locally sourced corn, wheat, barley and rye. 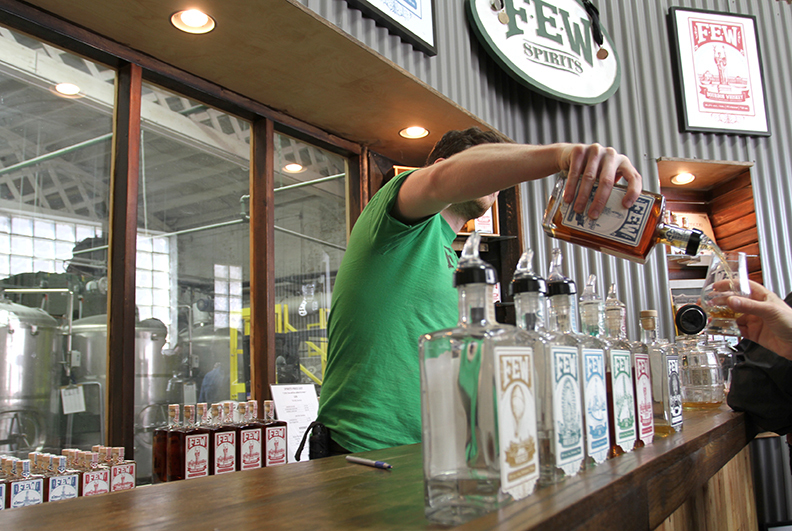 FEW is a “grain to glass” distillery, meaning that it ferments, distills and bottles all of its products onsite. Today, FEW produces four spirits: Bourbon Whiskey, Barrel Gin, Rye Whiskey, and American Gin. How long are FEW spirits aged? FEW’s location seems like something out of a 1930s movie set: the 2,700-square-foot distillery sits at the end of an alley in Evanston in an old body shop, now filled with stills, fermentation tanks, and barrels stamped with FEW’s distinctive brand instead of car parts. The building sits under Evanston’s El train, which passes by regularly, and unless you’re looking for the distillery, it would be easy to miss. But don’t miss it. FEW offers weekly tours of their facility given by one of its distillers, followed by a tasting of the spirits. The distiller pours generous samplings of each of FEW’s spirits, explaining the flavor profiles while answering questions. So how does FEW put out a consistent product? Craft distilling is part science, part art – and a trained palate. 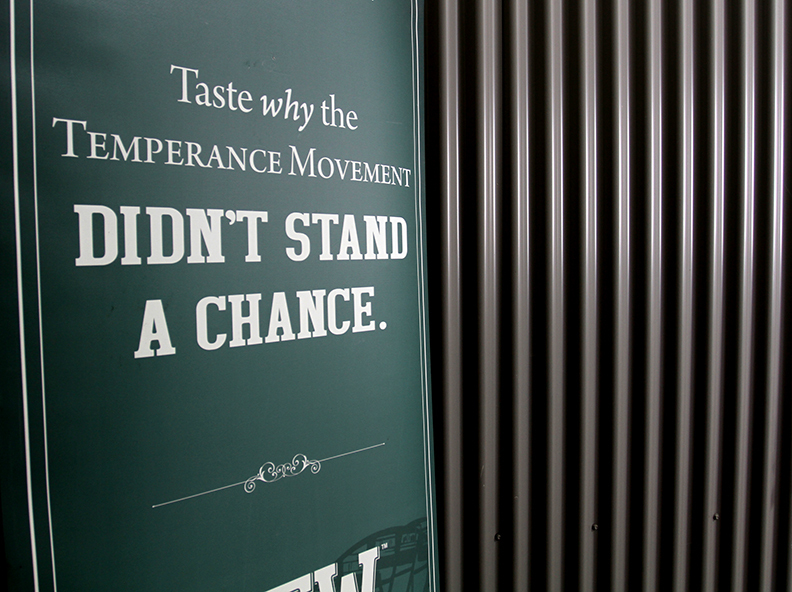 FEW’s distillers know the approximate timeframe to start tasting. Once ready, the spirits are left to age in wooden barrels, which can also impart flavor to the final product. The awards and accolades are piling up for the young distillery. FEW’s gin, bourbon, and rye have received gold medals from various heavy-hitting organizations, and FEW and Hletko have been profiled in the New York Times and Entrepreneur. Last year, Hletko was named a Martha Stewart 2014 American Made Awards finalist. And where does he see himself in five years? FEW is located at 918 Chicago Avenue, Evanston, IL. Tours are $10 and can be booked online at fewspirits.com.